Fidelio Dog Works with a lifetime of experience, Steve haynes is taking dog training in austin to a new level. Steve Haynes and his 8 month-old puppy Super, work on the "down" command. F Haynes never goes anywhere without his trusty Filson bag and training gear. 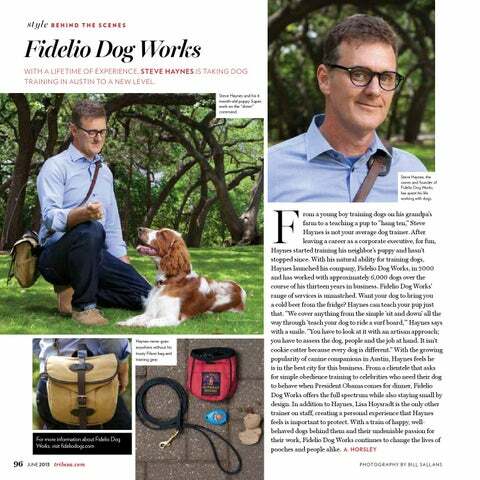 Steve Haynes, the owner and founder of Fidelio Dog Works, has spent his life working with dogs.